The Big Picture DVD and Blu-ray release date was set for March 19, 2013. In one moment of passion, Paul Exben's world has turned upside down. He is used to the good life, being a successful lawyer and building a home worthy of luxurious parties. Exben has a loving wife with two sons, making his home life a dream come true. Dark secrets evolve within the dream home as Exben is frequently at work. 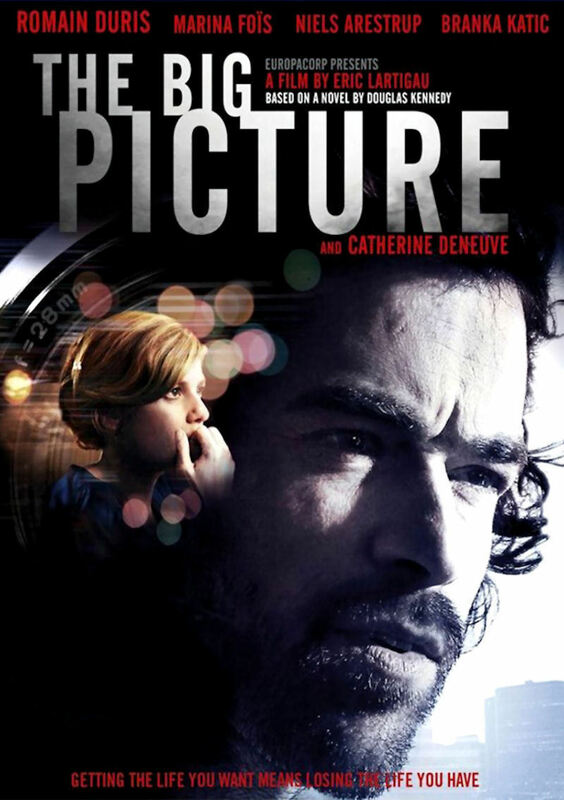 He discovers that his devoted wife is secretly dating a photographer. This stark reality shocks his mind, and he kills the photographer lover. Exben knows from experience that he cannot lead the same life after murdering his wife's lover. Using the photographer's identity as cover, Exben travels the world. Because no one is looking for the photographer as a victim, Exben seems to have thwarted any murder charges. His true journey of self-discovery is ahead of him.